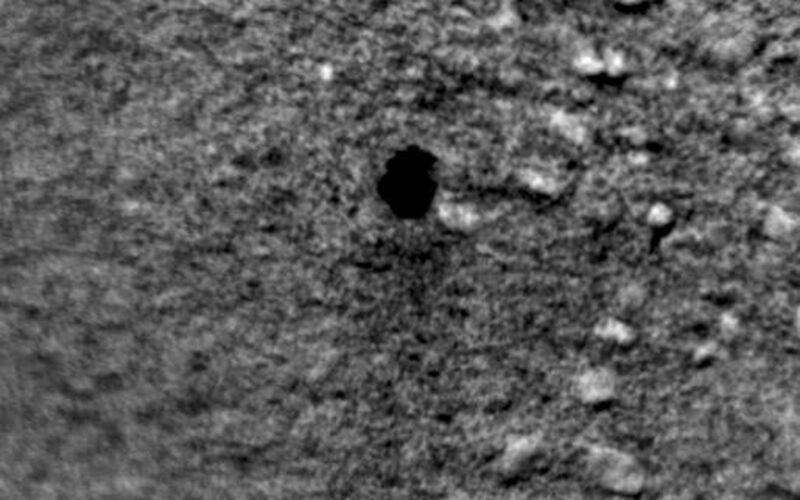 During the 271st Martian day, or sol, of Curiosity's work on Mars (May 11, 2013), ChemCam fired its laser at a soil target informally named "Sutton Inlier." 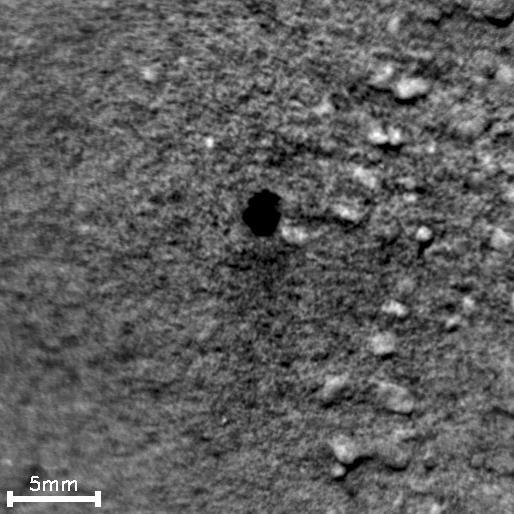 ChemCam's remote micro-imager (RMI) recorded a series of images during this activity, documenting the formation of a pit during a burst of laser shots. 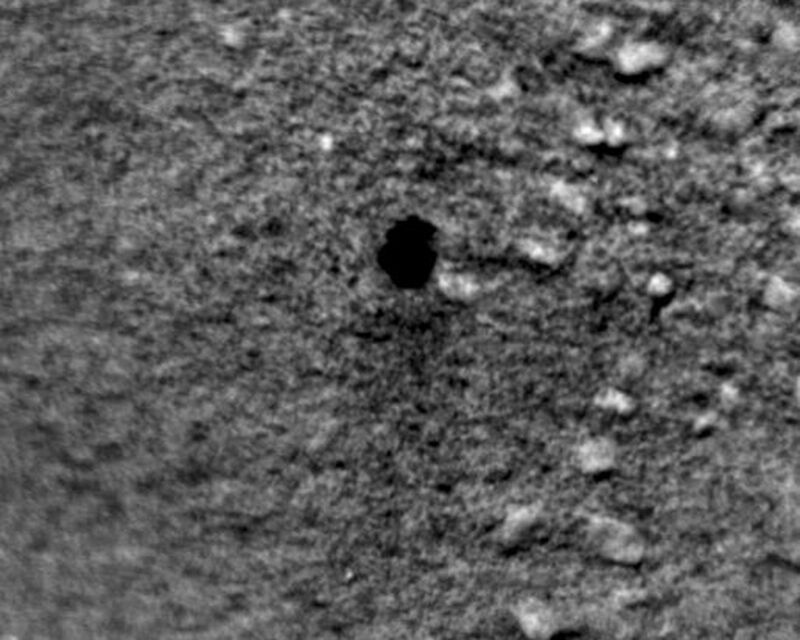 The soil target, which lies within the "Yellowknife Bay" area, was 9 feet (2.75 meters) away from the ChemCam's laser and RMI, which are at the top of the rover's mast. Each laser shot delivers more than a million watts of power for about five one-billionths of a second. The laser's interaction with the target material generates plasma -- ionized gas -- by energetically exciting atoms in the soil. This tiny crater results from the shock wave produced by rapid expansion of the plasma. The 16 images were interspersed among a total of 100 laser shots, allowing construction of a time-lapse movie covering this 20 minute experiment. The first five image frames were taken with only one laser shot between consecutive frames. 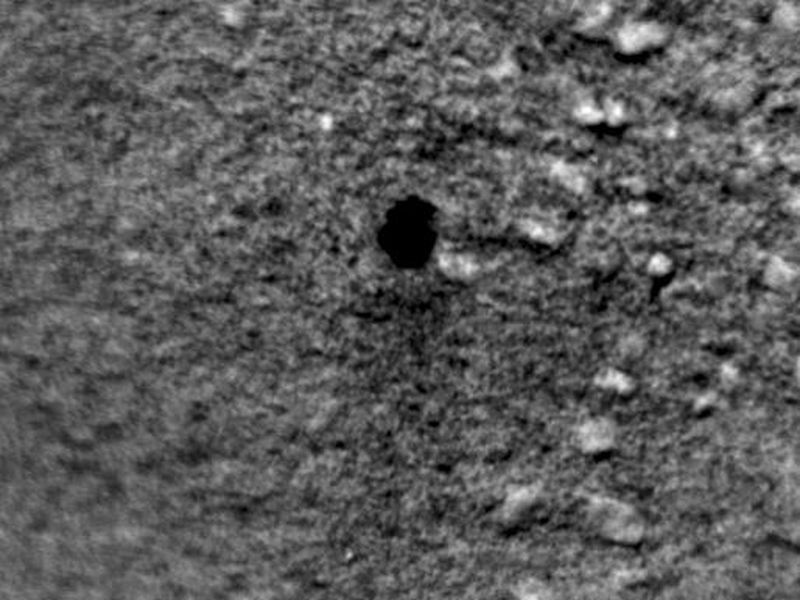 The crater formed as soon as the first laser shot hit the target. Then, because the laser beam came from a slanting angle, not vertically, soil grains collapsed downslope into the hole, causing the crater to move slightly.